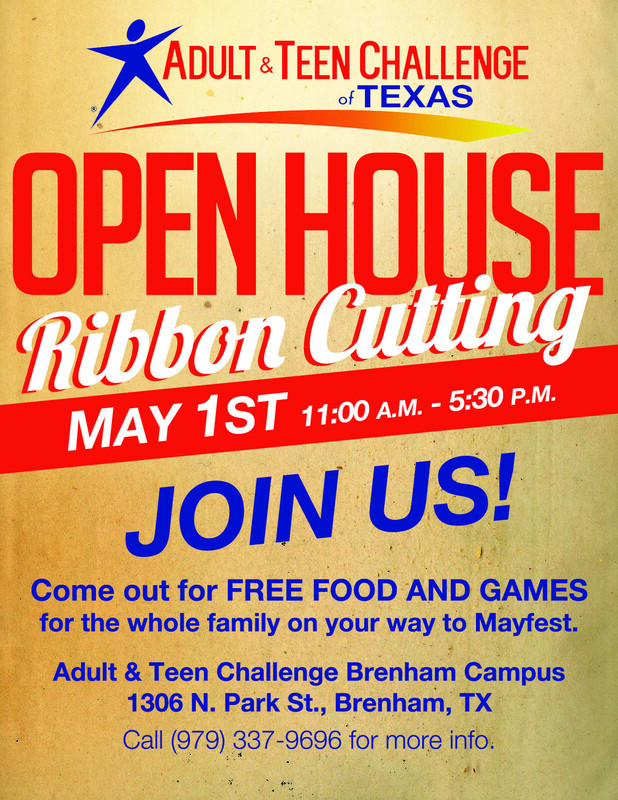 Adult and Teen Challenge of Brenham is hosting an open house and ribbon cutting ceremony that is open to the public on Friday May 1, from 11:00 a.m. to 5:30 p.m. on their campus located at 1306 N. Park St. in Brenham. Bring your whole family for fun activities, children’s games, free hot dogs, and Bush’s Chicken. Bush’s Chicken is a proud supporter of Adult and Teen Challenge of Brenham. This event is an invitation to the entire community for a time to come and get to know who we are. Call (979) 337-9696 for more information. We can also help you in your search for other Christian rehabs, Christian rehabs, alcohol addiction treatment centers , or rehabs. Should you need help finding Christian rehabs, Christian drug rehab programs, drug rehabs near me or Christian drug rehabs, please let us know.